Floris London Candles - Fashion For Lunch. I’m a big fan of Floris London and their beautiful products, I have blogged about them before and I am sure regular followers of my Instagram account will often notice their perfume in my the back of my photos! Floris was founded in 1730 by Juan Famenias Floris and his wife Elizabeth. The company is still family owned and run and they are proud to say they are the oldest operating perfumeries in the UK and one of the oldest in the world. Floris hold two Royal Warrants and have two London stores; Jermyn Street and Ebury Street, Belgravia. Two of the most prestigious locations in London. Their perfumes are sold in Harrods, Fortnum & Mason and Peter Jones. They also offer a bespoke service to their clients, this is no average perfumery, Floris is very special. 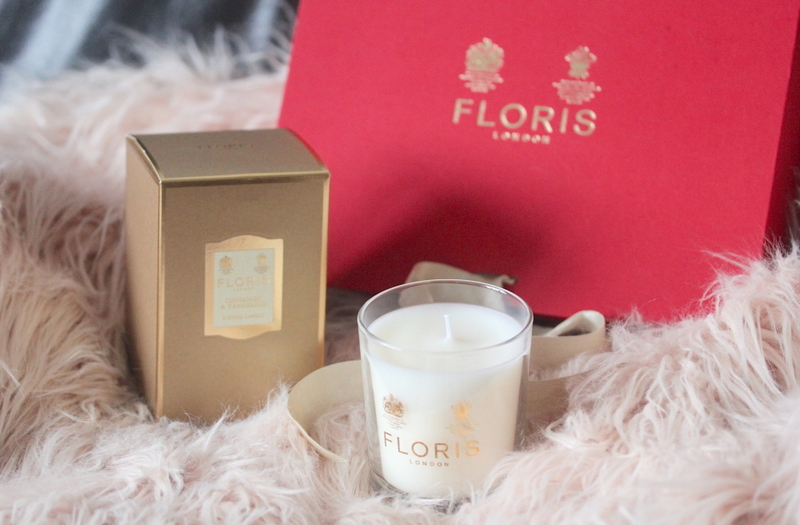 As well as producing incredible perfumes, Floris also make a selection of incredible luxury scented candles. They come in the most beautiful packaging and they even have a metal lid for when the candle is not lit. I have the Sandalwood & Patchouli candle which is so incredible, it is heavily scented so it fills the room fast and smells insanely good! With top notes of bergamot, lavender. Heart notes cinnamon, clove, rose and geranium. Base notes of amber, cedarwood, musk, oakmoss, patchouli, sandalwood, vanilla, vetiver. So it is a beautiful mix of sweet, festive and woody. I’m in love! Also in this collection is Hyacinth & Bluebell, Cinnamon & Tangerine, Grapefruit & Rosemary and Lavender & Mint. Which would you choose?